With summer comes pool parties, family vacations and BBQs. During this time, we find ourselves paying a bit more attention to our waistline. Swimsuit season can be downright intimidating, if you ask me. So to make it fun, why not set a challenge for yourself? We all have our own challenges when it comes to fitness. For me, cardio work has always been easy to pick up. Whether it's the treadmill, elliptical, bike, workout classes or adventures outside, I enjoy slipping on a pair of headphones or grabbing a friend to jump on the bandwagon. My challenge is core and strength training. Having a strong core is essential for injury prevention and posture, and it's also a big confidence boost! So, how can we make this core challenge fun? My sister and I decided that the key was to not do it alone. It all began when we thought the first fun feat would be to try to do 100 push-ups for 30 days straight. My guy and I were on a 29-day road trip for more than half of this challenge, and let's just say we tried our best. We learned it is only fair to give ourselves two float days each week. Whatever the challenge is, we are allowed two days off to account for life's obstacles to happen and still be successful. 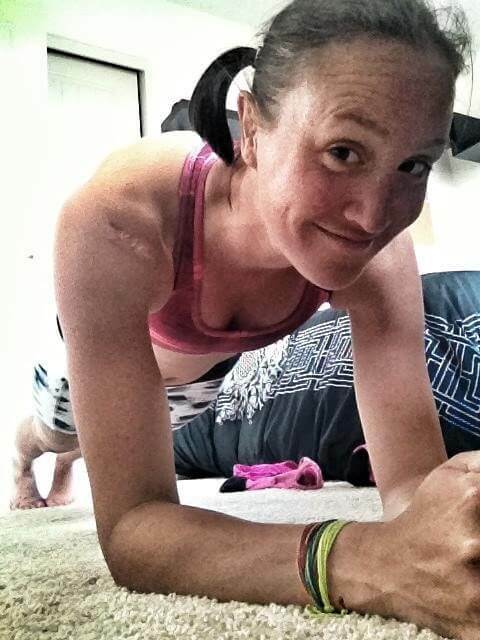 All of the sudden, this became fun, and I don't usually favor planks! We had charts to tick off the days, and we motivated each other when we wanted to bail. The power of doing it together became the strongest motivation. So, we decided to host the challenge on Facebook just to see what folks thought. Low and behold, now we have about 30 folks, and the Boulder Track Club, joining in the fun, and it continues to grow. The power of numbers has become the most essential key to our success. And the motivation rises as we all accomplish the goal together, and with every week that passes, we feel more confident about that bikini. 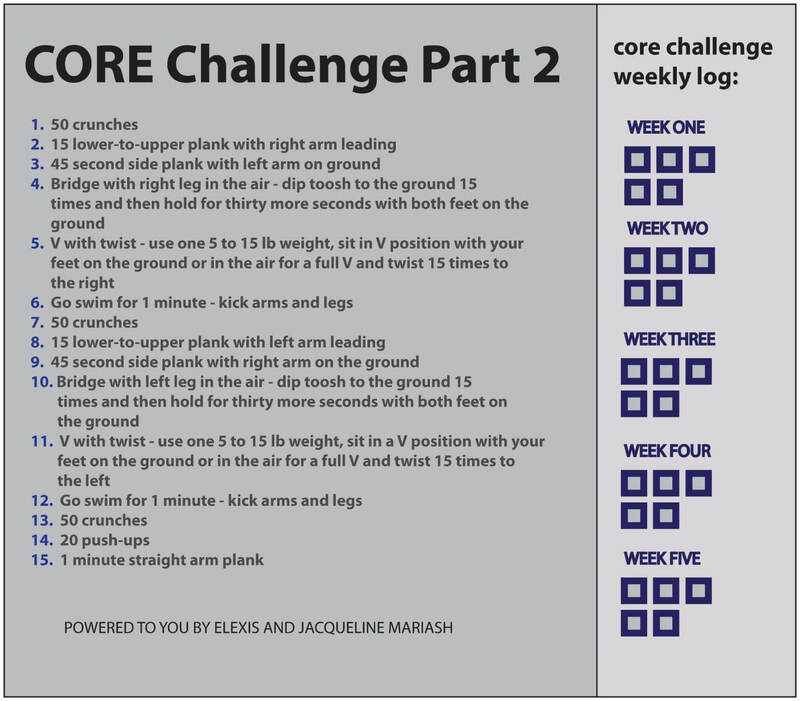 See below for our most recent CORE Challenge. Start whenever you desire, and go for five weeks. Let the core challenge roll on!